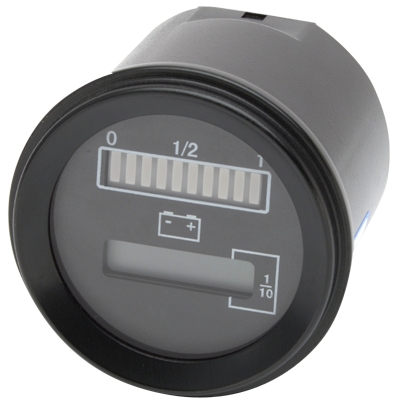 BDI / Hour Meter / Codes. 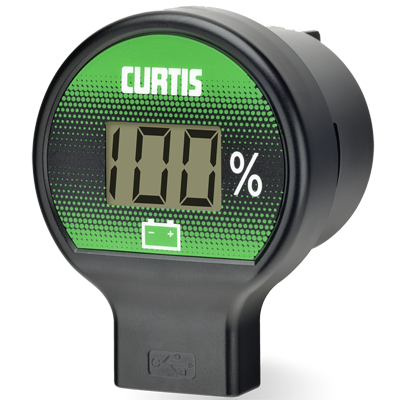 Curtis Model 803 combines in one instrument a completely solid state battery discharge indicator, an LCD hour meter and lift lockout, housed in a 52mm case. 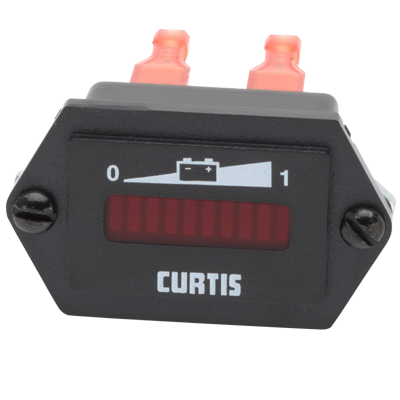 Void of moving parts, this combination instrument is exceptionally reliable even in severe operating environments. 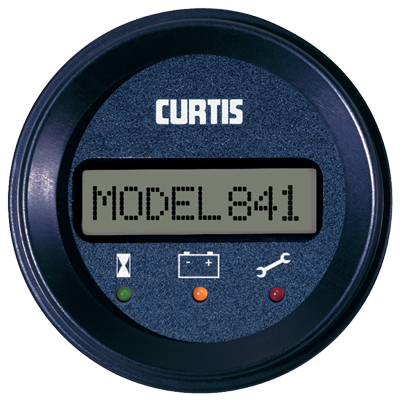 Displays various system parameters, such as battery state-of-charge, operating hours or maintenance status from a Curtis motor speed controller or other vehicle controller. 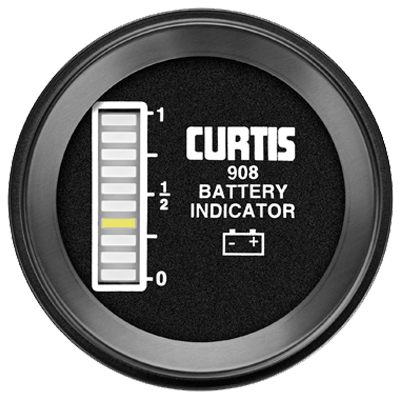 Curtis Model 908R is a completely solid state battery discharge indicator and lift lockout, housed in a 52 mm case. 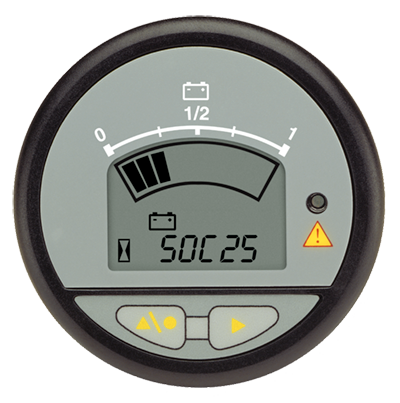 Void of moving parts, this combination instrument is exceptionally reliable even in severe operating environments. 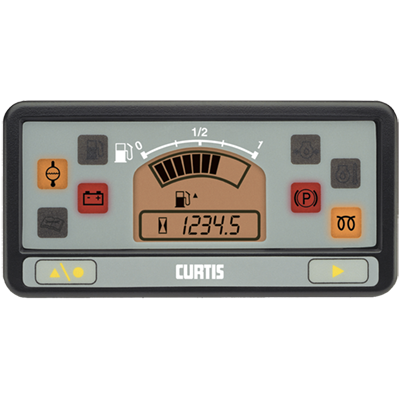 The Curtis enGage® III is a three function, microprocessor based instrument that can be factory or user defined to monitor various functions, including fuel, temperature, pressure, voltage, battery state of charge and maintenance/status.